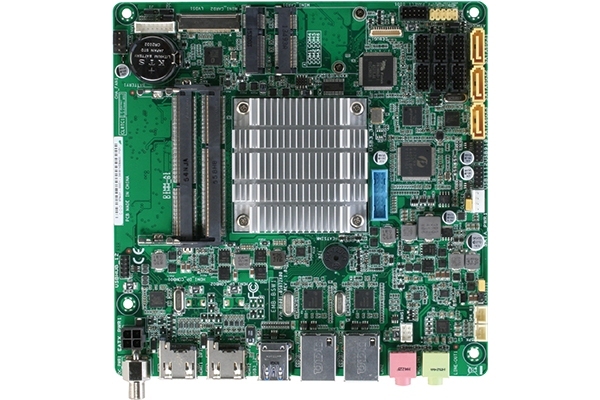 The PCM-4897 is an enhanced, all-in-one single board computer with a local bus SVGA controller and two serial ports. The PCM-4897 offers all the functions of an ATX-compatible industrial computer on a single board, but it fits in the space of 5 1/4" floppy drive(only 5.75" x 8"). For maximum performance, the PCM-4897 also supports On-board features include two serial-ports(two RS-232 ), one parallel port, an enhanced IDE hard-drive controller (for up to two drives), a floppy drive controller and a keyboard-PS/2 mouse interface. 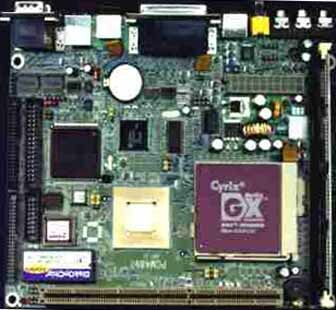 The PCM-4897 is an enhanced, all-in-one single board computer with a local bus SVGA controller and two serial ports. The PCM-4897 offers all the functions of an ATX-compatible industrial computer on a single board, but it fits in the space of 5 1/4" floppy drive(only 5.75" x 8"). For maximum performance, the PCM-4897 also supports On-board features include two serial-ports(two RS-232 ), one parallel port, an enhanced IDE hard-drive controller (for up to two drives), a floppy drive controller and a keyboard-PS/2 mouse interface. The PCM-4897 also has on-board sound, USB ports and composite video out. The board's watchdog timer can automatically reset the system or generate an interrupt if it stops due to a program bug or EMI problem. The PCM-4897 also complies with the "Green Function" standard, is APM 1.1 compliant, and supports three types of power-saving features: doze, standby, and suspend mode. All display and Ethernet configuration is set through the software. A single Flash chip holds the system BIOS, VGA BIOS and the network boot ROM image. This minimizes the number of chips and eases configuration. You can change the display BIOS or install a boot ROM simply by programming the Flash chip. If you need any additional functions, you can add up to six industry-standard PC/104 modules to the on board PC/104 expansion connector.